Successfully Added 4K Digital Camera - 1/4-Inch CMOS, 30x Digital Zoom, 4K Video, 24MP Pictures, 3-Inch Display, APP, 128GB SD Card Support to your Shopping Cart. Record all your upcoming adventures in stunning 4K resolution with this professional-grade digital camera. With its compact design, this video camera can be easily carried around in your bag. It lets you shoot breathtaking video in 4K resolution as well as 24MP photographs. 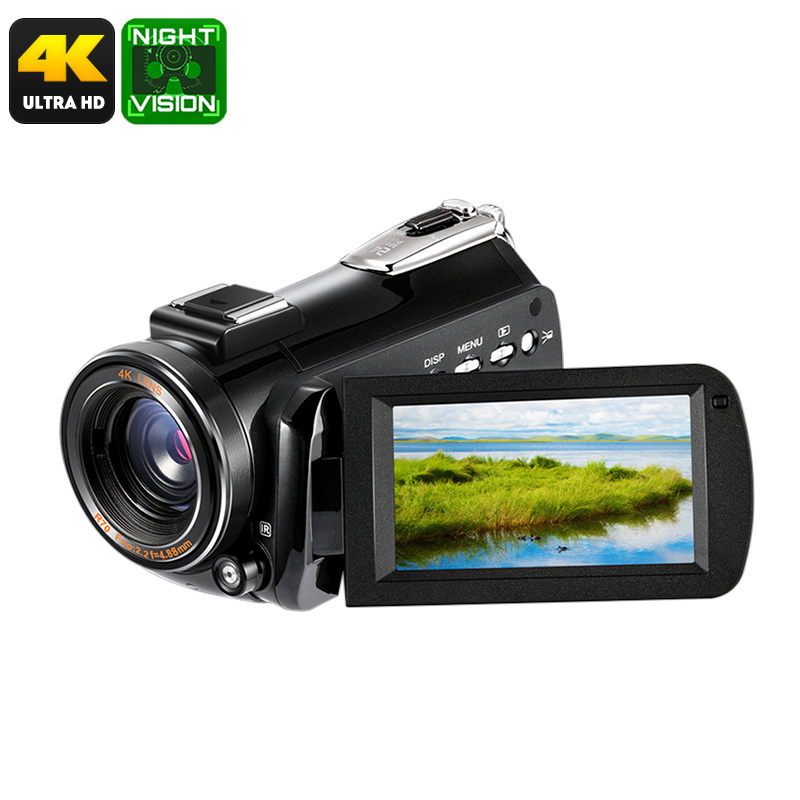 If you wish to take your video shooting to the next level, this digital video camera is perfect for you. Thanks to its 1/4-Inch 13MP CMOS sensor, you’ll be treated to highly detailed footage in vivid color. Whether you use it to record a sports game, home movie, or holiday footage - this 4K digital camera is guaranteed to meet your demands. Thanks to its anti-shake feature, you can be assured that you’ll always get the smoothest and highest quality recordings. The camera features facial recognition for easy and controlled recording and photo shooting. With its powerful 1250mah battery, this beauty delivers an hours’ worth of recording time. It furthermore supports a 128GB SD card on which you can store all your recordings and pictures. When using this 4K camera, you won’t have to worry about running out of storage space any time soon. With its built-in microphone, it records high quality audio along with the video - thus treating you to an outstanding audiovisual experience when watching back your recordings. On the camera’s 3-Inch LCD display, you can enjoy a live view while recording. It furthermore offers you the possibility to instantly watch back previous recordings on the spot. The camera comes with 30X digital zoom through which it lets you record events from both up close and far away. Thanks to its smart design, you’ll be able to synchronize your 4K camera with both iOS and Android phones to take the absolute most out of all its features. With this affordable 4K video camera at your side, you’ll be able to shoot pictures and video as if you were a true professional.